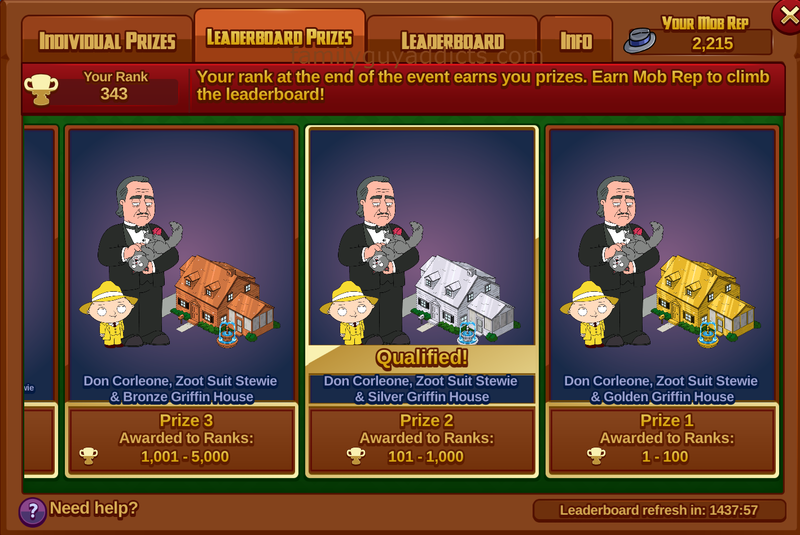 With a New District in the game, we get some cool New Characters too to add to those already wandering our Quahog Streets. Characters like Madame Claude. 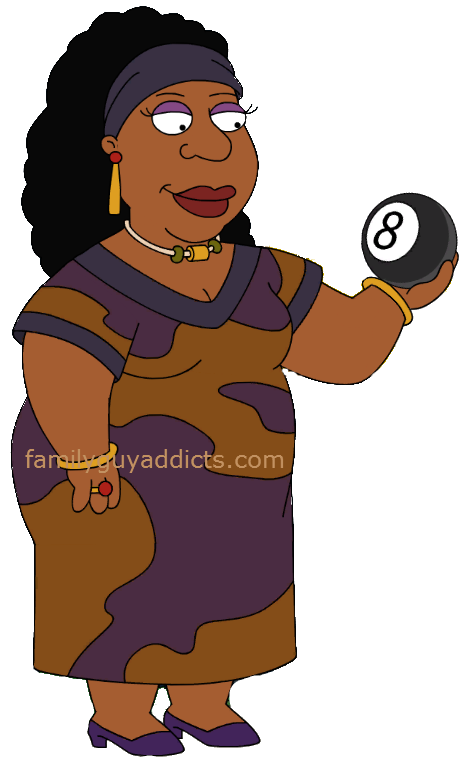 Let’s take a look at what Madame Claude can do in our silly lil games. Madame Claude was a New Character added during the first part of the Graveyard District (11) 2015. As with (almost) all Characters in TQFS in order to unlock him you’ll have to collect lots of STUFF. 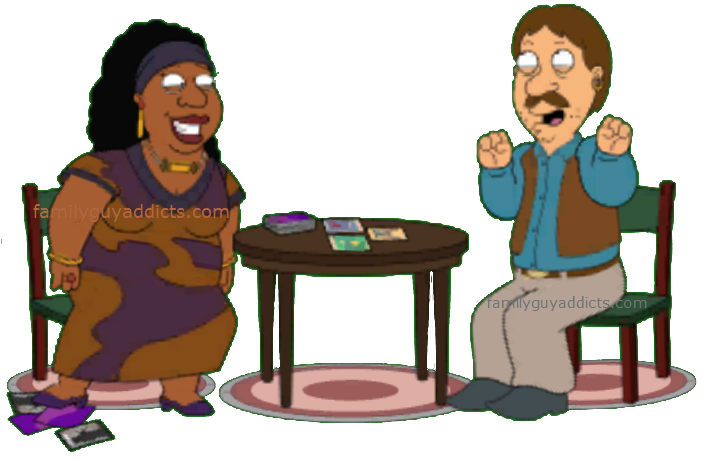 You first had to purchase the Psychic Parlor ($8000) and place it in your town to start collecting stuff. She does come with kind of a Questline, Psyched Out, more on it HERE. Madame Claude does come with a complete set of Tasks! Tasks that will help you earn $$$ & XP. And there you have it my friends, the complete breakdown for Madame Claude! Did you unlock her yet? If so, what do you think of his tasks? Which one is your favorite? If not, how close are you? Let us know. 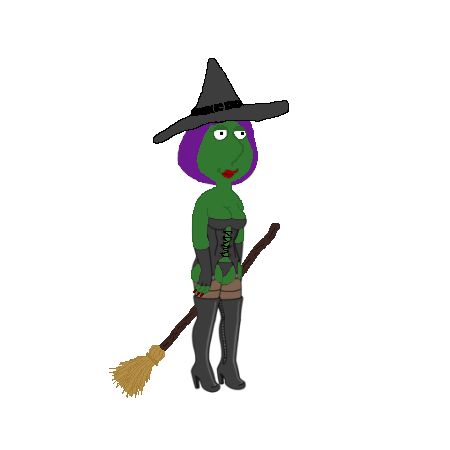 This entry was posted in Characters, District 11, Game Play and tagged Bent Spoon, Crystal Balls, Family Guy Addicts The Quest For Stuff, Family Guy Tips and Tricks, Graveyard District 11, Hairbands, Madame Claude, Psyched Out, Tarot Cards, What tasks does Madame Claude have. Bookmark the permalink. Can’t figure it out. 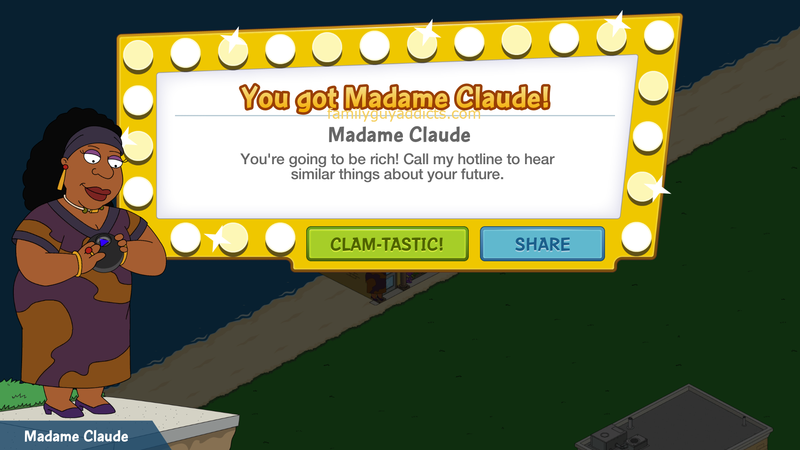 I’ve unlocked Madame Claude but no zombies! When do they show up? There is an issue with the spawns. Fix should be coming. Hey Alissa and Bunny I use the mobile version of this site and it seems that you are having a problem with pop-ups that take me to a different site then tell me to download something and it won’t let me leave (I had to stop loading this page so I could come down to the comment section). Just making you aware! 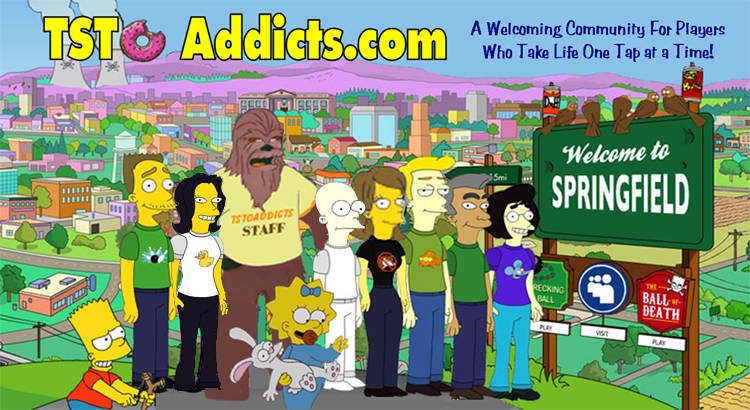 Love the site! I’m having a tough time with this if someone can help me please. I’m on the part that I have to resurrect a ghost but how do I do that if everytime I do it gives me more zombies to come out? Just keep going. Remember, this is a District and will take time. They are meant to be a slower pace as they are here to stay forever. One will eventually pop out, then you will focus your time collecting Materials for them… which will also take time. I’ve been working on unlocking the ghost of Loretta, seems to be an issue with the bathtubs. Ive collected at least 4or5 of them but only one has counted toward my total. Anyone else have this problem, I just contacted tinyco. Yours is first report I have seen. All mine are counting fine. Just cleared the last one yesterday in fact. pretty disappointed with the ‘characters’ from this area. One-ep wonders and people most will call “WTD” on. Tinyco have been teasing us with Death, Neil and evil Monkey forever, instead they roll out lame characters who’s contribution has been tangental at best. At least we all recognised Pawtucket Pat, even if he’s not been a recurring character, he’s had significant impact. Yeah, I said it, Wanna fight about it? <- that's a joke, and a **** fine one if I do say so myself. I have to giggle when something new hits and people complain about it right off. It JUST hit. As we have seen in the past, TinyCo likes to “phase” things… ie Weekly releases and additions. So to judge something when it just starts seems silly to me. Anyone catch the Bill Cosby joke by Quagmire? Yes I looked her yesterday’. Her quest line is pretty cool. I’m interested in the zombies I collect them then hit resurrect #/5 and I jus get double the zombies I’m assuming eventually I’ll get a character ? Zombies! Every time I click the portal, I get zombies, over and over again. Is this a tedious thing that I have to do over and over until I win one of the characters or will the characters unlock after I complete a certain action? Madame Claude is a ‘He’?